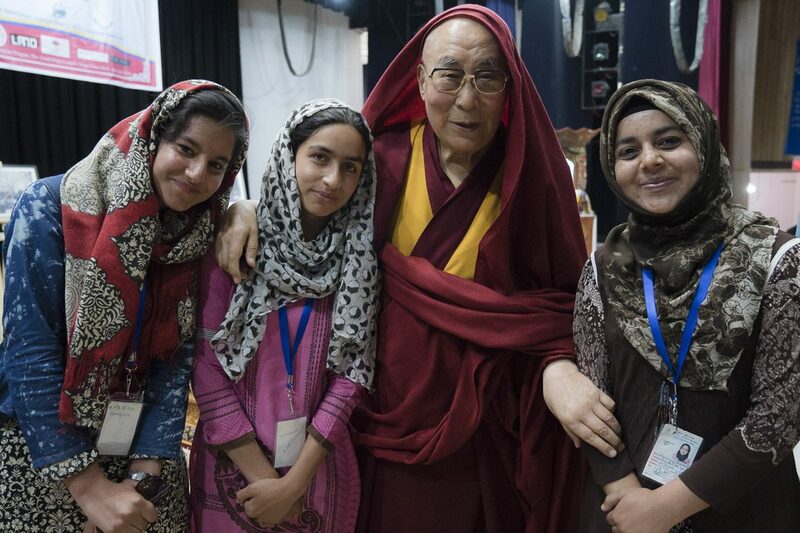 (TibetanReview.net, Jul29, 2017) –Tibet’s exiled spiritual leader, the Dalai Lama, on Jul 27 took part in a seminar on communal harmony in Choglamsar region of Ladakh in the Indian state of Jammu & Kashmir which was organized by local Buddhist and Muslim groups. The venue was the Central Institute of Buddhist Studies and the occasion the centenary of the birth of the late Bakula Rinpoche, Ladakh’s tallest leader in the 20th century. Following an introduction on Bakula Rinpoche by Rinchen Namgyel, President of the Youth Wing of the Ladakh Buddhist Association (YWLBA) and one of the organizers of the seminar, the gathering was addressed by a representative each from the co-organizers the Anjuman Imamia Youth Wing and the Anjuman Moin-ul-Islam Youth Wings. They recalled Bakula Rinpoche’s immense contributions for the general good of all Ladakh and admiration for the Dalai Lama for his message about all peoples being members of one human family irrespective of their belief in different religions and so on. Addressing the seminar on ‘Communal Harmony – Foundation of World Peace’, the Dalai Lama began by saying that across the world the beginning of the 21st century has generally been better than the 20th century in terms of people being fed up with violence and nurturing a genuine desire for peace. A representative of Christian Students offered the vote of thanks.